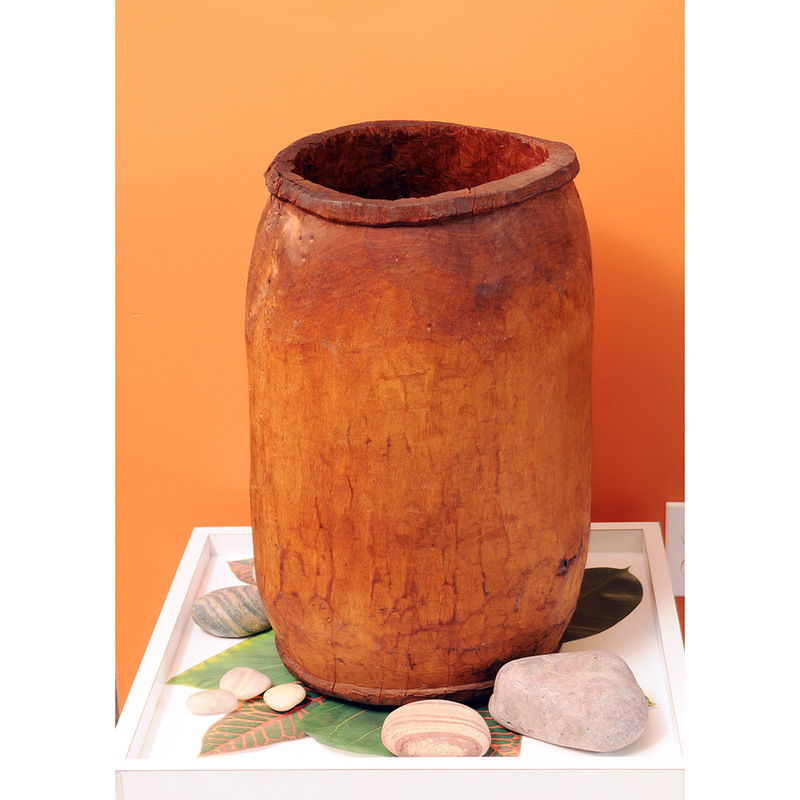 Since prehistoric times, people have cooked food using hot stones placed in vessels made of natural materials: earthen pits, animal skins or bladders, or hollow tree trunks. In American culinary history, the New England clambake continues this tradition. 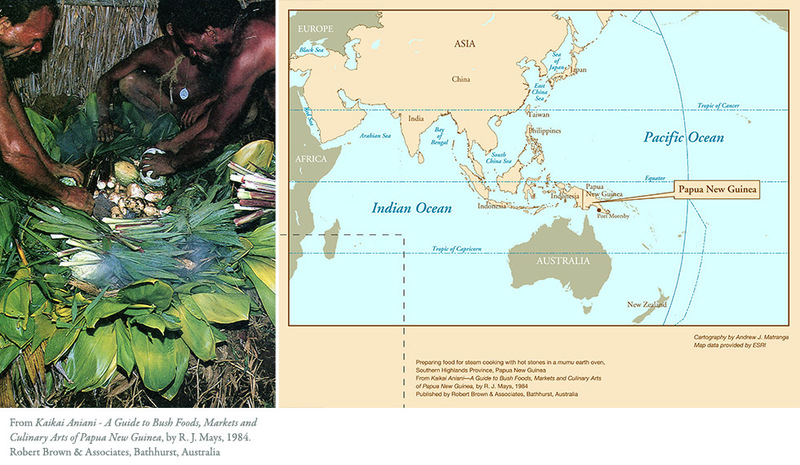 Without ceramic or metal cookware, Pacific Islanders prepared meals in an earth oven called a mumu. 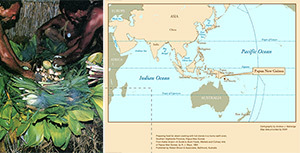 People in Papua New Guinea dug a pit in the ground, into which they placed hot stones, preferably evenly sized round river stones, pieces of coral, or termite nests. They wrapped the food in leaves (banana, fig, or breadfruit) and layered it between the stones, placing sweeter, more delicate foods on top. Covering the hole with leaves, and sometimes earth, they left it to cook for several hours. The food cooked by steaming, the leaf wrappers supplying both moisture and flavor. In parts of the mountainous central highland regions of Papua New Guinea, notably Simbu Province, people made a variation of the earth oven by placing hot stones, together with wrapped food, into a hollowed section of a tree trunk or limb. But such a vessel held a smaller quantity of food and was not often used. Anthropologists and visitors from Western cultures first came to Simbu Province in the 1930s and began to collect artifacts in the 1960s and 1970s.